Posted on Tuesday, January 22nd, 2019 at 9:22 pm. When Denny Huang decided to move to Taipei in 2005 as a young adult, he had no idea what he was going to do. 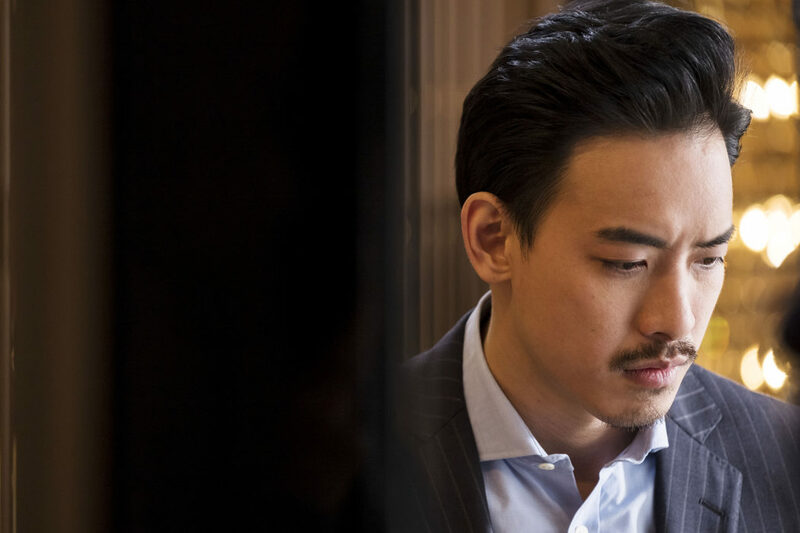 As a Taiwanese American born in Houston, he barely spoke Mandarin at the time, and when he started pursuing acting roles, he realized his American-accent would be an issue. To manage, as he was slowly building his film & TV career (with roles in TV dramas like “Bull Fighting” and “Across the Ocean to See You”), he was also working in the restaurant business, founding the bar/lounges Marquee Taipei, Alchemy Bar and Halo Taipei. But when the role of Ryan in “A Taiwanese Tale of Two Cities” came around, it was as if the role was written for him. “A Taiwanese Tale of Two Cities” is a 2018 Netflix Original series about two women, Nien-Nien and Josephine (one from Taipei, the other from San Francisco), who switch homes and find themselves navigating the cultural differences between being Taiwanese and Taiwanese American. Denny plays a Taiwanese American chef and online celebrity in San Francisco, who becomes Nien-Nien’s love interest. Denny chats with TaiwaneseAmerican.org about landing a role that hits close to home and what it’s really like to be a Taiwanese American living in Taiwan. Ada: Congratulations on the release of “A Taiwanese Tale of Two Cities!” Can you start by telling me what your upbringing was like as a Taiwanese American growing up in Texas? Did you grow up around any Taiwanese community? Denny: Thank you for the kind words, I’m lucky to be here. Especially since I was born and raised in Houston, which is far different from anywhere in Asia. The Houston suburb I grew up in – Sugar Land, Texas – was a melting pot of cultures and backgrounds, and really taught me a lot about acceptance. Texans are friendly and welcoming, and that helped me navigate moving to Taipei in 2005. There are a lot of Taiwanese immigrants in Houston, but growing up I did not have much exposure to them. And equally sad, I also missed out on being exposed to a lot of Taiwanese food. Ada: Did you go to Chinese School? Denny: My parents tried to put me in Chinese school growing up, but my will was stronger than theirs. Regretfully, I did not attend Chinese School growing up. I only formally started learning Chinese when I moved to Taiwan in 2005. That was when I quit my job, sold all my belongings, and bought a one-way ticket to Taipei. I did not have a concrete plan, especially since my Mandarin was limited. But I had visited Taipei the year before, I could feel the energy in the region, and I knew I wanted to be a part of it. Moving halfway across the world was certainly an adventure, but Taiwan is a comfortable environment and Taiwanese people are welcoming. It was fairly easy to meet people and get by. Ada: What did you find that people’s initial impressions were of you as a Taiwanese American? Denny: I don’t know what’s harder – in Taiwan, looking the part but not speaking the part (because of my Americanized Chinese accent, with a slight drawl from growing in Texas), or in the U.S., not looking the part, but speaking the part because of my Texas drawl! In Taiwan, it has been fun though – trying to bridge the cultural divide with people that assume I’m just like them, think like them, etc. Early on, the people I interacted with Taiwan were amazed my parents didn’t teach me more Mandarin when I was growing up in America. It is tough explaining that I was in ESL! I had to assimilate to living in the U.S., and in my 20s I had to learn how to assimilate to living in Taiwan. Those challenges were a lot of fun and I appreciated those experiences. Ada: Your career seemed to pick up when you started working in China. Why was that? Denny: First, it was a lot of luck. In 2011, I met a Chinese American producer based in Beijing, who took a liking to me and offered me a contract with his firm. My career in China launched because of them. It’s also a lot of being in the right place at the right time. Earlier on, there were a lot more opportunities for me in the States and smaller Asian countries like Taiwan, Hong Kong and Singapore, rather than in China. But I felt the energy in China and wanted to be a part of it. China’s economy has grown tremendously over the past couple of decades, and many other industries have grown along with it, including the entertainment industry. I feel fortunate to be a part of the entertainment industry as it develops, and as an actor I hope to grow along with it as well. I’m also fortunate to have experience working in a variety of genres – modern TV dramas, romantic comedies, action, ancient Chinese period, and suspense films – which have allowed me to grow as an actor and expand my range. Most of my work has been in TV dramas though, and I’m looking forward to getting more into movies and film. Ada: Did you always want to be an actor, since you were a kid in Texas? Denny: Growing up, I always enjoyed performing – I was in theater class and acted in a few plays, and I played the viola in the school orchestra, while playing piano on the side. All of those were passions I chose on my own. I also truly enjoy watching movies, and understanding the messages and nuances the director or actors are trying to portray. And when I was in college, my close friends and I started a boy band called Epic. But it wasn’t really until I moved to Asia that I thought entertainment could be a career path. We all have that aunt that tell our parents outlandish things “哇好帥，可以當模特 ” – your son is handsome, he can be a model … But growing up in the US, there were not any Asian American role models in the entertainment industry. Doctors, lawyers, yes. Actors, singers, no. I didn’t really think about entertainment as a career, especially as an Asian American growing up in Texas. Ada: Hold up, you were in a boy band? Was it an American-style boy band, like Backstreet Boys and ‘NSync? Or an Asian boy band? Denny: We grew up in the ‘NSync/Backstreet Boys era, but there were also a few Asian boy bands from California: Kai, Voices of Theory, Nu Flavor. It was great, a couple of close friends, at a young age, spending a lot time together, working on a passion project and dreaming of the future! Ada: Back to “A Taiwanese Tale of Two Cities,” what was your first impression of your character when you read the script, and did you have to do any preparation to play him? Denny: I read the script and knew this was me. This was the most natural role I have ever played. When I met the director and the producer for the first time, they described the character Ryan, and I responded, “You just described my life!” My personal history and the character’s share such similar backgrounds and life experiences. My family worked in the in restaurants and food & beverage, and that’s where I spent most of my youth as well. Early on, it was to help the family out and then working to support myself. Eventually, I opened my own restaurants and bars, MQ – Taipei, Alchemy bar – Taipei, which you should go check out some time! I personally have lived the experience. Ada: You play the love interest of Li Nien-nien, a Taipei doctor who goes to San Francisco. What challenges can viewers look forward to them navigating together? Denny: The idea for both couples is to show the dating challenges for a Taiwanese and a Taiwanese American. Not only do you have the natural complexities when it comes to dating, but there’s an added challenge of cultural differences. I can relate to the character, because I’ve experienced it personally. Early in my move to Taiwan, I began dating a girl there. When I met her parents for the first time, I knew that I could never fulfill the heavy, heavy expectations they had for someone dating their daughter. It was disappointing and dissatisfying, as I thought we got along quite well. Experiences like this are portrayed on TV dramas, but it actually happens in real life more often than not! In the US, the culture and people are more independent. People form views on you, based on who you are and your own experiences versus in Asia, it is more of what does your family do, or who do they know. “A Taiwanese Tale of Two Cities” offers a perspective into those challenges. 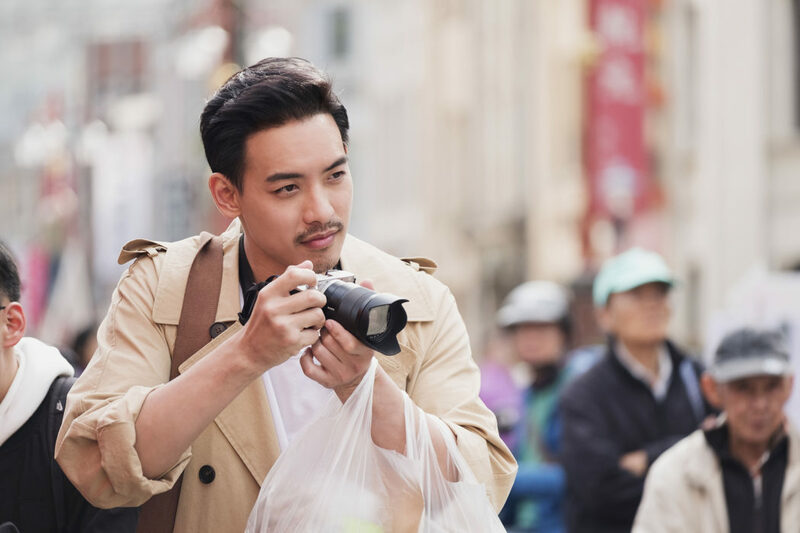 Ada: What do you hope that viewers take away from Netflix’s first Taiwanese original drama? Denny: I hope the show is an avenue to demonstrate the depth and beauty of Taiwan and Asia, for Americans (and other viewers) who have not been out here. Since I moved to Asia in the mid-2000’s I’m amazed at the pace of development and advancement, from technology, to culture, to everything in between. It has been breathtaking to be part of, and Asia should be an exporter of culture to the rest of the world. Also vice versa, I hope it is a bridge for the people in Asia to see how Asians like them have lived and assimilated in the U.S. It is a different vantage point from most Hollywood content, and one I hope that they can relate to. Kudos to Netflix for recognizing the need for content like this – I know the demand is high! Secondly, I hope it demonstrates that relationships aren’t easy, especially for people with different backgrounds. But it’s easy to get stuck in your comfort zone, so it’s important to get out, try new things, and have an open mind. Ada: And lastly, I heard “Crazy Rich Asians” was #1 in the box office in Taiwan. In the US, that’s basically all Asian America was talking about for a while. I’m wondering whether what the conversation has been like amongst Taiwanese and/or Taiwanese Americans in Taiwan, and while of course you’ve had a great career in Taiwan and China, whether that makes you think about pursuing any opportunities back in America? Denny: I think the people in Asia are even more supportive of the movie than people in the US! My friends and I think it’s phenomenal to see a full Asian cast and director on the Hollywood big screen! Those are the role models I needed when I was growing up in Sugar Land, Texas! I wonder what my career in China would have been like if I was born in Asia and Chinese was my first language. But, in the U.S., my career path would have been more challenging – I never dreamed about becoming an actor and the roles for Asians have thus far been limited. However, seeing how much more attention Asian Americans are getting in the US market is amazing. Big props to Crazy Rich Asians, Fresh off the Boat, and Kim’s Convenience! All of the current Asian Americans in the industry are paving the road for the next wave of Asian Americans, and if I’m lucky, that might include me. In the meantime, I’m making up for lost time and feel blessed to have made a career in Asia! 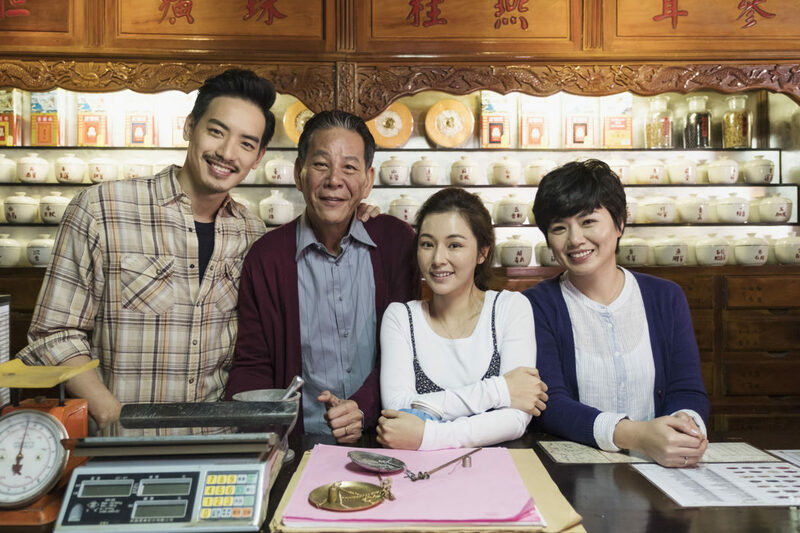 “A Taiwanese Tale of Two Cities” premiered in Taiwan in September, and it will be available to watch on Netflix US on January 26.